Policy makers pay attention to Letters to the Editor—one of the most read sections of the paper—so they are an important advocacy tool. Follow these simple instructions to submit your own Letter to the Editor today! Let us know if you submit one—and if it’s published!—by emailing [email protected]. It would surprise most Americans to know that slavery still exists… it surprised me. In fact, right now, more than 40 million people are someone else’s property—enslaved in factories, fishing boats, and brothels. On [DAY], the U.S. State Department released the 2018 Trafficking in Persons Report, which shines a spotlight on human trafficking, and ranks 188 countries on their efforts to bring an end this crime within their borders. It is essential that this annual report tell the truth about slavery so we can effectively work towards a world where everyone is free. 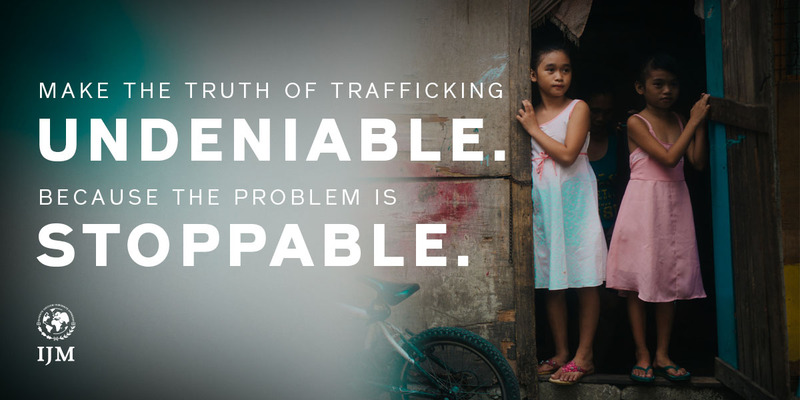 The Trump Administration and Congress should utilize U.S. diplomacy and foreign aid to combat slavery, specifically by protecting the integrity of the report, reauthorizing the Trafficking Victims Protection Act, appointing a new Ambassador to head the Trafficking in Persons office, and fully funding U.S. efforts to bring an end to this stoppable crime. After writing your Letter to the Editor, keep sharing this news! Access the full 2018 TIP Report here.